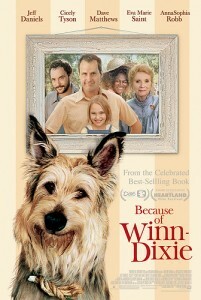 In what I consider to be one of the most unexpected news items of the year, Because of Winn-Dixie, the hit 2005 film, is set to hit the stage as a new musical. The movie, which starred Jeff Daniels and musician Dave Matthews, will be to converted into a theatre production by Avenue Q director John Tartaglia. In a way, this makes sense, as I believe that Walden Media has created a few other stage shows in the past. 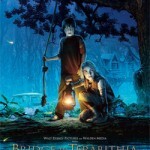 The production will follow the exploits of a young girl who befriends a stray dog she finds at a Winn-Dixie supermarket. Producers have tapped Tony Award winner Duncan Sheik and Nell Benjamin to compose the songs and lyrics, and an Irish wolfhound called Taran will lead the cast. The programme will begin workshop readings this spring and producers ultimately hope to take the show to Broadway.